Quote: "Our legal systems provide protection in the form of “rights.” Certain entities have “rights,” and those who do fall into two groups: first, humans; and second, constructs created by humans, such as corporations and countries. Everything that does not fall under these two categories is considered the “property” of humans or their constructs. Under this framework, nature is viewed as “property.” It can be owned, consumed, and bought or sold as needed. If a company or an individual owns land, by virtue of ownership, they have the right to destroy ecosystems on that land. Unless specific legal protections were already placed on the land, they have done no wrong in the eyes of the law. If a case is brought later, the courts may or may not find fault. Remediation may or may not be mandated. This reactive approach leaves us constantly in a “too little, too late” position, and as a result we are witnessing the ongoing destruction of the biosphere. The current legal framework supports an unsustainable economic paradigm. It is based on the same principles as limitless growth. In this system, we assume that we can consume endlessly, and there will be no repercussions. We go about our business with the false notion that we are separate from nature; that humans are so dominant upon the Earth that we do not need to rely on nature for our survival. But this underlying belief is a falsehood. We are nature; nature created us; and we depend upon it to continue living. In addition, the natural world possesses intrinsic value simply by virtue of existing, the same as we do. We are caught in a social, political, and economic system built on principles that ignore the sacredness of nature and of life itself. It is difficult to break free of a structure that is accepted globally, deeply entrenched in our everyday lives due to a culture of consumption, and strengthened by our perceived financial and governmental requirements. We have laws such as the UK Wildlife and Countryside Act and the US Endangered Species Act, but these are too specific and selective, and often we are forced to use these laws only reactively. For example, during the time that we are completing the scientific research to identify which endangered species need the most protection, we are already losing dozens of species per day. The existing systems contain fundamental legal issues, including the mistaken idea that human concerns are primary. In reality, the Earth’s systems are primary; humans and our entities are necessarily secondary, because we are derivatives of the Earth. Without it, we would not exist. We are also limited by a pervasive misunderstanding about the relationship between nature and economics. Nature, and the resources that it provides to humans, are treated as a commodity and are traded on the capital markets. According to the International Center for Wholistic Law, this “segregates the interconnected components of an ecosystem” and does not account for the interconnectedness of all natural elements. Additionally, it allows corporations and executives to profit by exercising their excessive power over resources, frequently without being held responsible if their actions create pollution, environmental degradation, or social injustice. We require an entirely new approach that accounts for nature as a whole, as a vast and interdependent system in which each part interacts dynamically with every other part. We need a transformational change within the dominant legal systems. The concept of Rights of Nature provides a new framework. 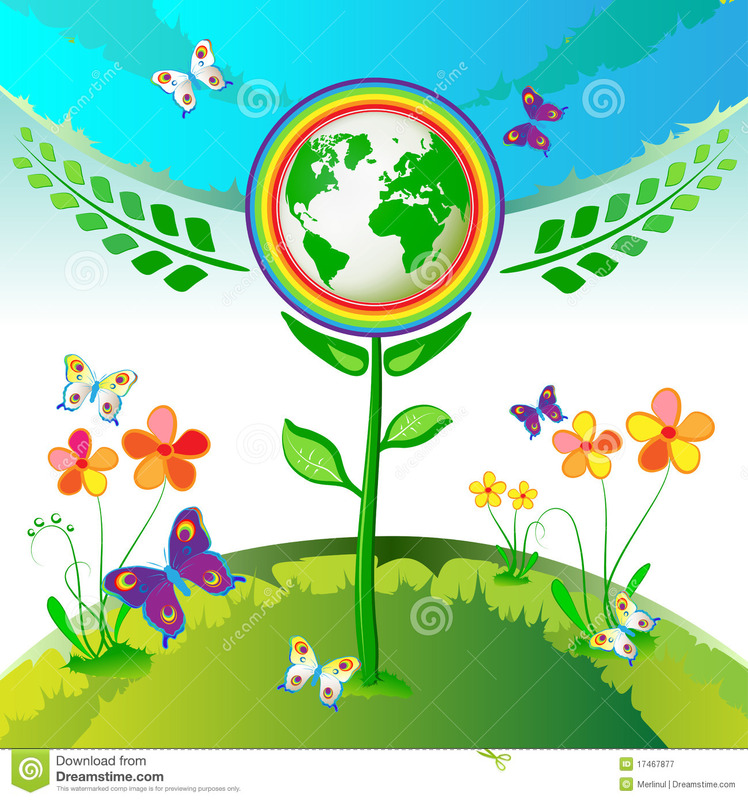 Under Rights of Nature, the Earth and its ecosystems are viewed as living beings with rights. “The natural world is … an equal stakeholder in maintaining the wellbeing of the planet—an active participant that is worthy of our respect.” Nature is protected based on its intrinsic value instead of for its monetary value as a consumable resource. The matter of Rights of Nature is often compared to the fact that woman and children were once legally considered property. Harm to them was resolved in court by payment to the husband/father, in other words the “owner.” Today we have raised our consciousness to the level of recognizing that all people have an equal right to life, health, and happiness. Another great leap in our human consciousness is now required. We are already witnessing significant global movement toward the Rights of Nature. In 2008, Ecuador became the first country to legally protect Pachamama, or Mother Nature, by including the Rights of Nature in its constitution. Fundacion Pachamama, sister organization of the Pachamama Alliance, played an important role in raising awareness around the Rights of Nature in Ecuador and encouraging the adoption of the Rights of Nature principles into its 2008 constitution. Also in 2010, the Global Alliance for the Rights of Nature was founded by a group of 20 people, including Bill Twist, co-founder of the Pachamama Alliance. The group gathered in Manteles, Ecuador with a goal to find ways to expand the ideas of Rights of Nature around the world. The Global Alliance held a Rights of Nature Tribunal as part of the COP20 conference in Lima in 2014, issuing verdicts on 12 cases of violations to nature and local communities. The next Tribunal is scheduled for December 4-5, 2015, during the COP21 conference in Paris. This is called an ECI, or European Citizens’ Initiative, and it is a mechanism instituted in 2012 within the EU that allows citizens to propose a law to the European Commission, thus giving European citizens the power to play a more active role in legislation. Sign the international petition to value Nature as a living being. Help the Global Alliance for the Rights of Nature reach 1,000,000 signatures before December 2015. Currently they have gathered over 828,000 signatures. Endorse the Peoples’ Convention for the Establishment of the International Rights of Nature Tribunal, and assist in influencing the outcomes from COP21 in Paris, to help create the new world that we want to live in. The European Citizens’ Initiative is a grassroots effort, and they need people to assist with everything from administration to branding to lobbying. Click here for more information. Follow and support Alex, a biker who is riding across Europe to raise funds and awareness for Rights of Nature Europe. The organization needs hosting, awareness and promotional events, volunteering, and media contacts. If you live in Europe, you can take action in your own town or city. Rights of Nature Europe has step by step guides that they can provide upon request. Send an email to info@rightsofnature.eu and they will send you information for how to start an initiative in your local community. Spread the word! Share the website, the Facebook page, or the contact email address: info@rightsofnature.eu. Learn more about the ECI by watching a video featuring Mumta Ito, or by reading the draft directive. "Arafel" Comment: Kernnunus; "The Horned one who is Lord of the Trees" is "Provender" in Wicca (and the "Old Religion"), surely we must provide for future generations and is not that provision (if anything is), worthy of consideration as a "sacred" duty?